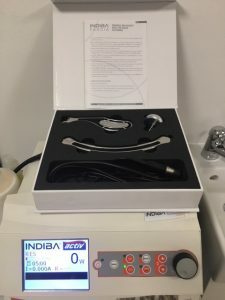 Finally Indiba Fascia treatment available now in our clinic great results for a number of conditions such as Achille’s tendinosis, Tennis elbows, Plantar fasciatis, Neck and Back pain where soft tissues are always in need of deep release. 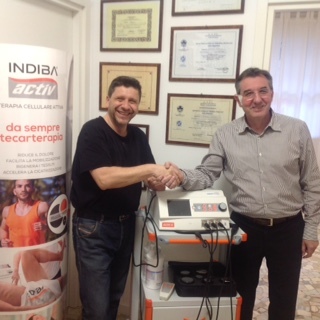 Delivery of the Tecar device a few weeks ago with Giorgio Zennaro. 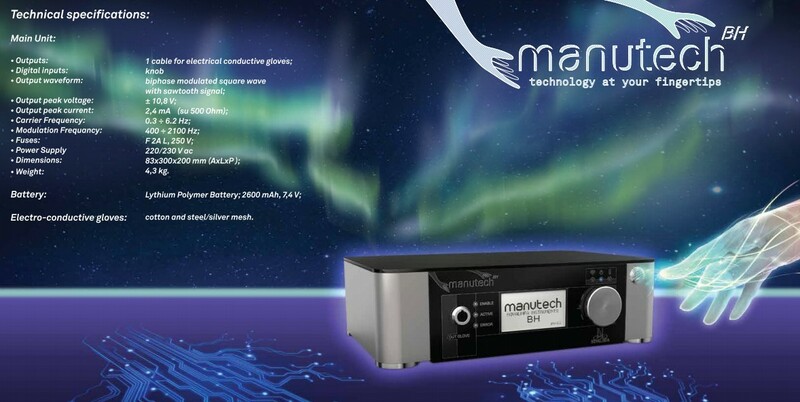 Manutech is a new tool we chose to provide our client the best interaction between manual therapy and newest technology available. Alfredo with Patrick and Clare Pedersen from Sweden two Manual Therapist who came to visit Physiotherapymilan and found time to introduce a new taping technique.